The constant vibrations of your phone pushing you notifications can feel like being in a crowded place even when you’re physically alone. Solitude and silence were a significant element of Jesus’ ministry. He often withdrew from the crowds and went into the wilderness to pray (Luke 5:16). 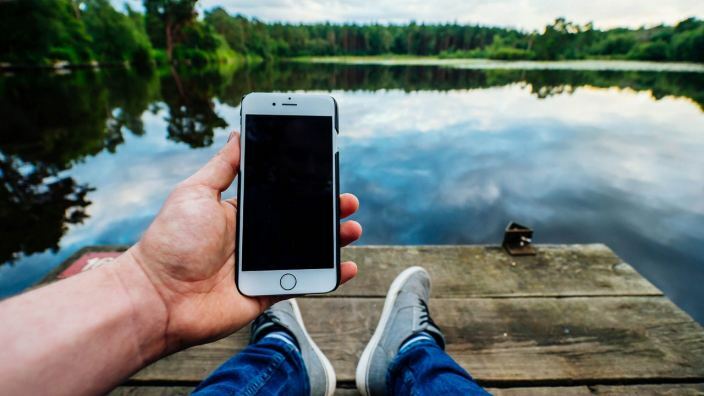 If you want to reconnect with God, taking a digital fast could be the modern equivalent you need. So what does this look like with the things we consume daily via smartphones, tablets and other digital devices? Your fast needs a purpose. Write down why you are unplugging and what you are hoping to gain out of the experience. When your digital fast gets hard, remember why you started. Share the purpose of your digital detox with a trusted friend so they can help keep you accountable. Engagement is the goal — not isolation. When constantly looking at our phone we can become distracted and not fully present with others. During your digital fast, look for ways to connect with others. Have a conversation over lunch or sit in front of someone and give them the gift of your full attention. Your fast needs definition. What you are going to fast from? Maybe it’s your social media or perhaps it’s Netflix. You decide. Determine your parameters and the length of time you are going to fast. If this is your first digital fast, start with a 24-hour period. After it’s done, evaluate how it went to figure out what will work best for you in the future. Notice your behavior. At the beginning you might find yourself reaching for your phone every time you are bored or lonely. A digital fast is not easy to start. Pay attention to your behavior, emotions and desires. A fast can be an incredible opportunity for the Lord to show you deeper things that you would not have noticed otherwise. Feed your mind without scrolling. Read a newspaper or book instead of scrolling through your Newsfeed. Did you know we are more creative when we have down time? Go for a walk and let your mind wander. Help, I’m new to fasting. Show me where to start. Devices have taken over my family. Show me how to put technology in its proper place. Want a quick reference guide to fasting? Check this out. It includes examples of those that fasted in the Bible, along with the right and wrong motivations for fasting.